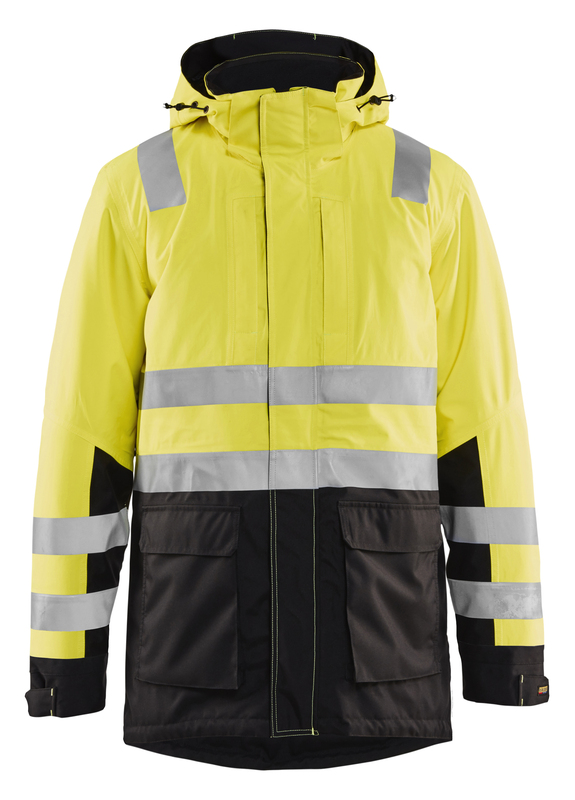 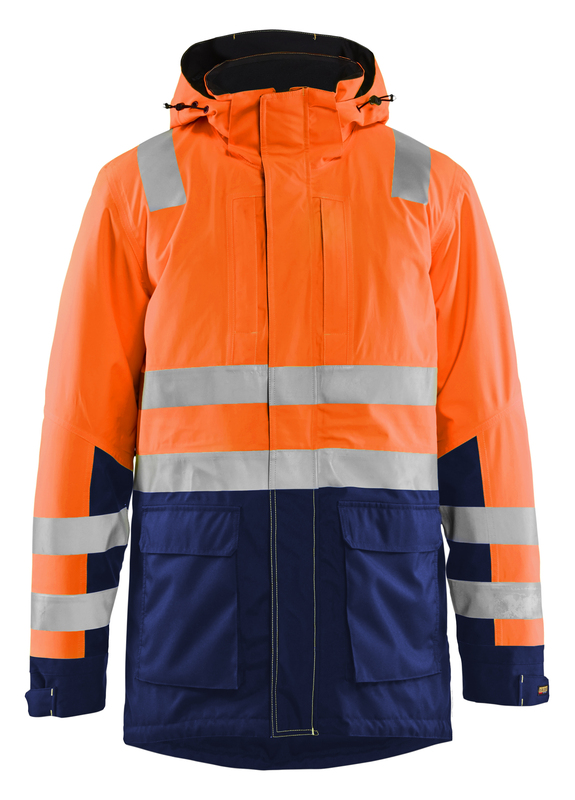 A warm winter garment for tough work environments where it is important to be visible. The parka is manufactured in a strong wind and water resistant material with taped seams and a warm quilted lining that is comfortable and protects against cold and wind. It has hard-wearing exterior fabric in a darker shade where the garment collects the most dirt. The jacket has a two-way zip at the front and bent sleeves for better comfort. The waist can be adjusted with a drawstring at the back for a better fit. 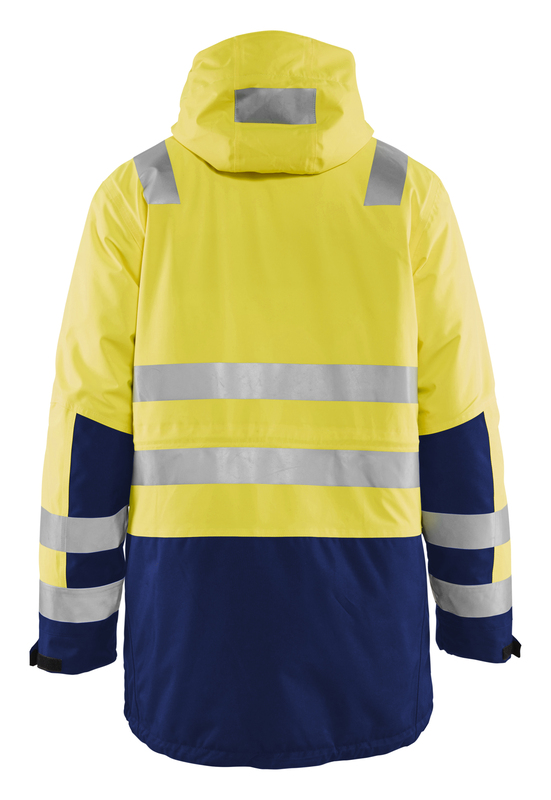 The reflectors are heat-pressed for increased flexibility and the protective hood has push studs that can easily be taken on and off. 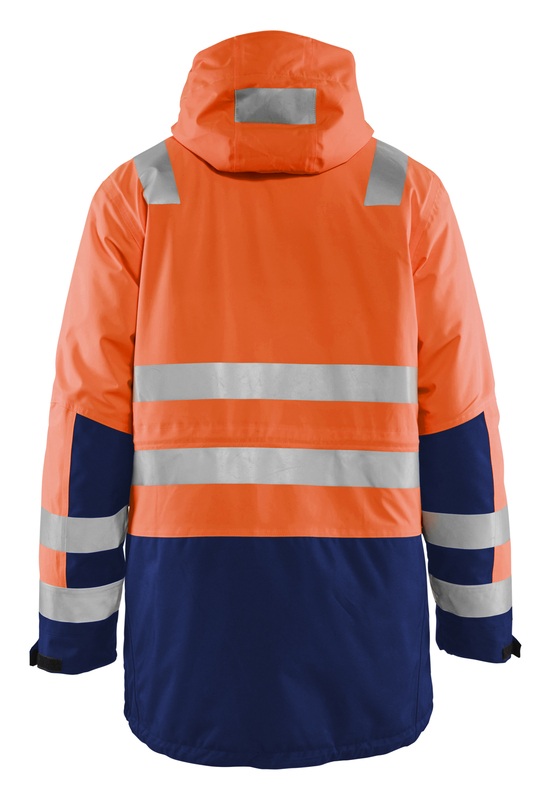 Certified to EN 342 combined with 1885; EN 343 Class 3.1; EN ISO 20471 Class 3, protective clothing for high visibility.